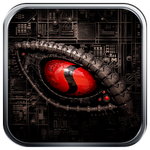 Adreno Graphics, a division within Qualcomm, has just released Snapdragon GameCommand, a new game management and discovery app. Originally, GameCommand was supposed to be released on January 10th at CES, but it looks like someone pulled the trigger early. Update by Artem: This app is much like NVIDIA's Tegra Zone, and while the content it features isn't exclusive to Snapdragons, it looks like it does require a device with one.